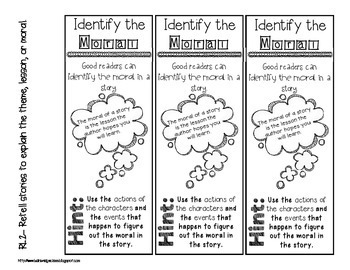 This pack of printable bookmarks features 25 different bookmarks that are Common Core connected. Print and distribute to students, use for interactive or reading notebooks, and great to send home to keep families up to date on classroom happenings! 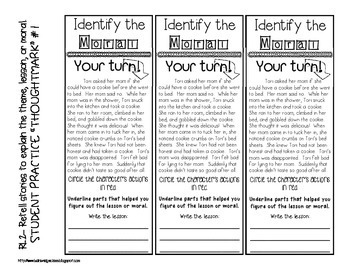 There are also new "Thought"marks added- you can print them on the back of the bookmarks so students can practice each strategy. 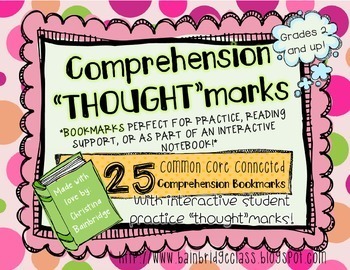 Two "Thought"marks are included for each bookmark to allow you to differentiate! Check out the preview for more info... bookmarks included for RL and RI standards as well as "general" comprehension bookmarks. You can see what is included as well as a bookmark and "thought"mark sample in the preview! 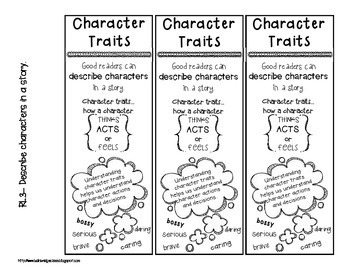 Compare and contrast, identify story elements, genres, cause and effect, main idea, details, theme, and character traits are just a few of the bookmarks in the pack! All bookmarks are black and white to save on ink. Print on colored paper to jazz them up!